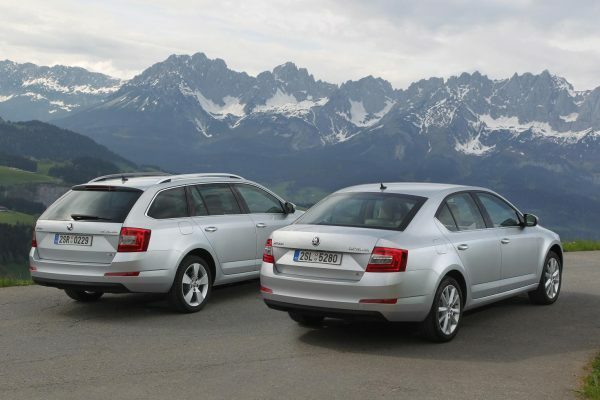 Dublin – 13.01.15 – ŠKODA’s Octavia 4×4 range is more affordable than ever thanks to the addition of a Hatchback version, which starts at just €27,995. Up until now the Octavia 4×4 was only offered as a Combi (Estate) version, but with the overwhelming majority of Octavia sales coming from the hatchback, a 4×4 version of this will be a much more relevant version for the Irish market and reduces the entry-point to the Octavia 4×4 range by €1,100. “The all-wheel drive market is extremely weather dependent in Ireland. During the cold snap in 2012 we saw ŠKODA 4×4 sales increase fivefold for all-wheel drive vehicles. This was a direct consequence of the severity of the winter of 2011. With recent milder winters we have seen demand for 4×4 vehicles decrease and we delivered one hundred 4×4 vehicle to Irish customers in 2014,” said ŠKODA’s Head of Marketing Raymond Leddy. “Now with the addition of a hatchback 4×4, buyers can insure themselves against any potentially harsh winter driving conditions over the course of their car’s lifetime, at just a small incremental cost on the purchase price,” adds Leddy. Although perceptions are that all-wheel drive vehicles are for snow and ice, they also provide superior handing on normal road conditions and perform exceptionally well in mud and rough terrain. In addition ŠKODA 4×4 can accommodate increased towing payloads while delivering increased safety. ŠKODA’s all-wheel-drive vehicles feature a cutting-edge Haldex clutch. The Haldex clutch is an electronically-controlled multi-plate clutch. With permanent all-wheel drive, it enables proportional distribution of drive between front and rear axles. The all-wheel-drive system is smart, precise and fast. Driving conditions are constantly assessed and a control unit calculates the ideal driving torque for the rear axle. Traction loss is therefore virtually eliminated. When coasting or at low load, drive is via the front axle. This saves fuel and helps maintain low emission values.